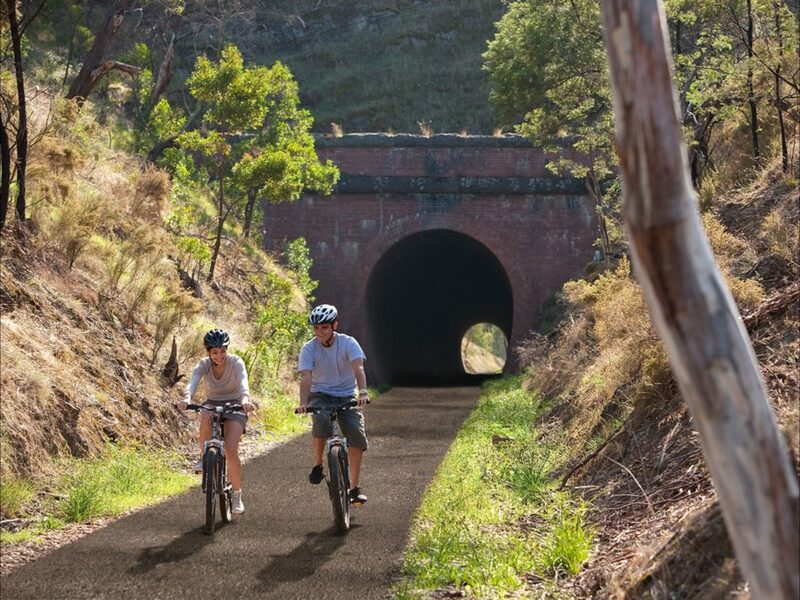 The Great Victorian Rail Trail is Australia’s longest continuous rail trail, with Victoria’s longest rail trail tunnel at Cheviot. The trail spans 134 kilometres from Tallarook, through Yea to Mansfield. The trail travels through beautiful countryside following the heritage classified Goulburn River at Tallarook and passes through the Trawool Valley, classified by the National Trust for its scenic beauty. You can take a ride through the historic 201 metre long Cheviot Tunnel and explore the old Alexandra Station with its Timber Tramway and Museum. The Great Victorian Rail Trail boasts almost 50 water crossings as it follows the Goulburn River and traverses a glimmering Lake Eildon on its way to the Victorian High Country.